Make healthy and delicious natural snacks with your favorite fruits, vegetables, and meats. By dehydrating foods the natural mouth watering flavor remains and makes for an excellent snack for hunting, fishing, camping, or long road trips. 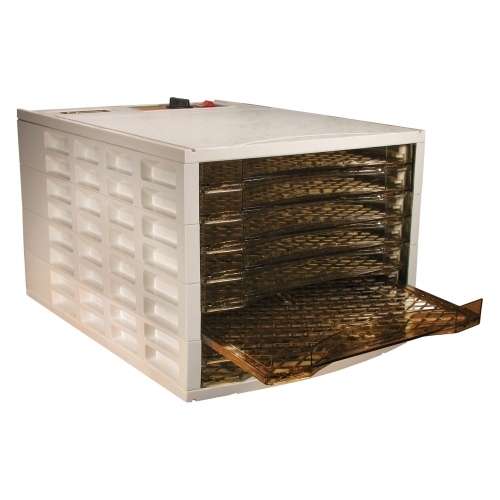 The rear mounted drying systems quietly circulates air and eliminates the need for tray rotation.